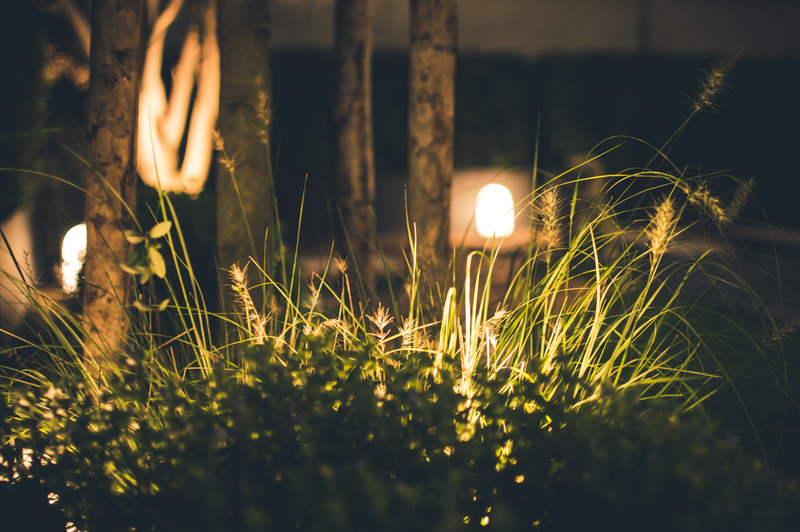 If you want to get more use out of your garden, lighting it properly will help you to do so. With the right lights, you will be able to continue to cook, eat, read and watch TV outdoors long after the sun has gone down. Plus, the kids will be able to continue to play in the garden for longer, after school. The cost of garden lighting fixtures has come down quite a bit, as has the cost of running them once they are installed. In fact, if you choose the right type of lights, they can literally cost you very little to run. In a sunny climate, LED solar garden lights from LED Hut will cost you nothing to run. Even in a place where there is not that much sun they can still be a good option. Most solar garden lights come with rechargeable batteries. This means that on days where there is not quite so much sun each light should still be charged enough to stay on for a few hours each evening. For some outdoor lights, it makes sense to fit them with sensors. This is particularly the case in areas which do not need to be lit when nobody is using them. It is also a good idea to wire some or your outdoor lights up to a timer. For example, you would not want your front garden light to be left on when you are sleeping. The light cast by them can easily stop you or your neighbors from falling asleep. Plus, after a certain hour, it is highly unlikely anyone will visit your home, so you do not really need the entranceway to be lit. Using timers gives you the ability to ensure that these types of lights are switched on only when they are really needed. Sensors and timers help to minimize the amount of time your lights are on. Therefore, these devices can stop wastage and make a big difference to the cost of lighting your home. Wiring each lighting fixture up to its own power source also gives you more control. Having a switch on each one enables you to decide how many of the lighting fixtures you have working in your garden. For example, when you are hosting a party, you will probably want to have all of the lights on. But, at other times, you can just light up your patio area, leaving the rest of the garden dark. When it comes to keeping the costs down, probably the biggest factor is the bulbs you use. When it comes to power consumption, here is a huge difference between bulbs. Generally speaking, LEDs are the best option. They cost a bit more to buy, but the fact that they use so little power means that this extra cost is soon covered. Which bulbs you choose is up to you, but, this article will help you to make the best choice. As you can see, saving money on your outdoor lighting is not hard to do or expensive. All it requires is a little time and effort. Nice read. No point in spending too much money on outdoor comforts.